No matter how you like your Whisky, Howitzer is your go to choice! To see how versatile our Whisky truly is, we’ve curated some unique cocktails that will please all! Rub the inside and rim of a rocks glass with an orange zest. Drop a wedge of orange in the glass, add 4 drops or orange bitters and gently muddle. Shake all ingredients with ice until very cold; strain into a chilled cocktail stem or rocks glass. Optionally, garnish with lemon twist or brandied cherry. 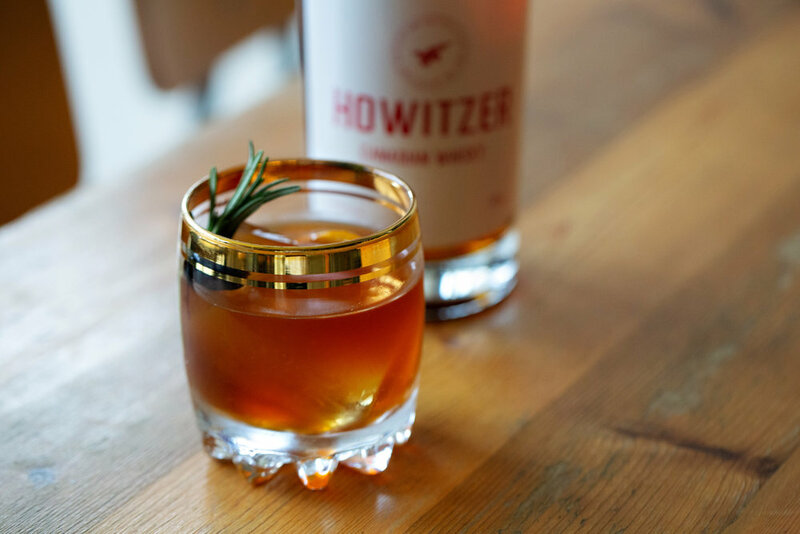 To prepare, add 2 oz of Hotwitzer whisky to ½oz vermouth. Add in a dash of bitters and 1 maraschino cherry. Give it a stir. Place the sugar cube (or 1/2 teaspoon loose sugar) in an Old Fashioned glass. Wet it down with 2 or 3 dashes of Angostura bitters and a short splash of club soda. Crush the sugar with a wooden muddler, chopstick, strong spoon, lipstick, cartridge case, whatever. Rotate the glass so that the sugar grains and bitters give it a lining. Serve with a stirring rod, and garnish with an orange slice if you're so inclined. Please enjoy responsibly. It's how Howie would have his Howitzer.